Multicultural Media Luncheon celebrates diversity and excellence in the auto industry. The 9th annual Multicultural Media Luncheon was held at MGM Grand to celebrate diversity and excellence in the auto industry. Cheryl Parks Ajamu created the event and says "I started it because I wanted to showcase some people that were in the automotive industry that the public didn't know about." DETROIT (WXYZ) — The 9th annual Multicultural Media Luncheon was held at MGM Grand to celebrate diversity and excellence in the auto industry. Cheryl Parks Ajamu created the event and says "I started it because I wanted to showcase some people that were in the automotive industry that the public didn't know about." 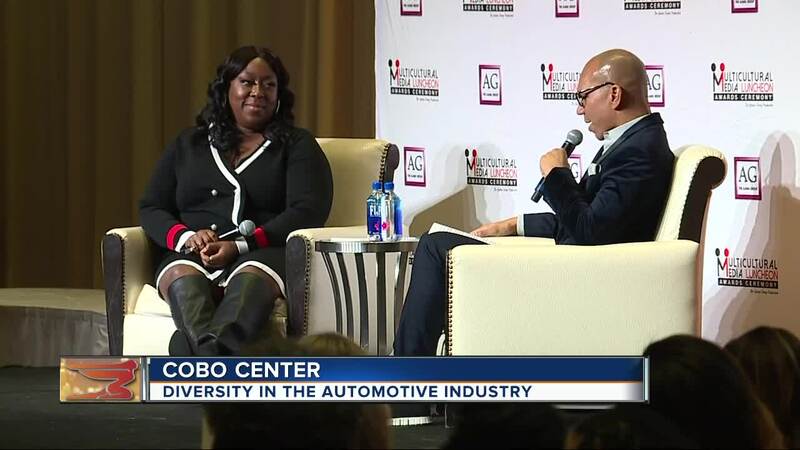 Hundreds of automotive and ad executives, business owners and students were in the crowd to recognize excellence and the global impact that different ethnic groups make in the automotive industry. Among the awards handed out: Digital Media Campaign of the Year, Visionary Award for Design and Engineering and Lifetime Achievement. Loni Love, who's from Detroit, was the guest speaker. Love, who's a comedian and co-host on the talk show The Real, talked about her journey. It included doing an internship with Ford and being a General Motors scholar. A portion of the proceeds from the luncheon will go to the Haitian charity Project Medicare and Orchard Children's Services, a foster care and adoption agency based in Southfield. "Multicultural is our world. Our goal is to showcase diversity in the industry, but at the end of the day, it takes all of us to make it work. It doesn't matter what your ethnic origin is. It takes all of us to make it work," says Ajamu.